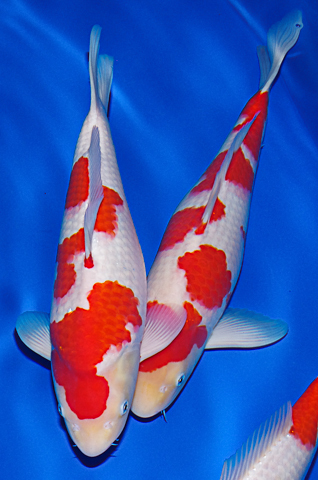 I've taken 8 fish to the show this weekend - 6 kohaku's and 2 tancho's. 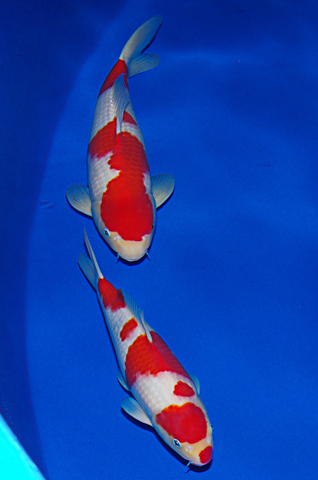 1 kohaku and tancho are from the May 14 spawning and the others are from the July 14 spawning. This is the first time I've exhibited at the All England with almost no chance of winning a prize. 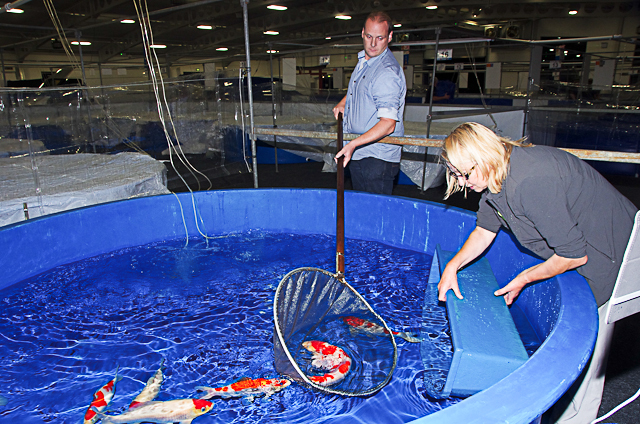 The quality of my fish is as good as any of the vats I've put out this year - the problem I have is the overall standard of the other fish at the show, which is as high as I've seen it. Nevertheless - I'm happy with the overall presentation of my vat, and proud to say that every fish in my vat has been bred by myself! 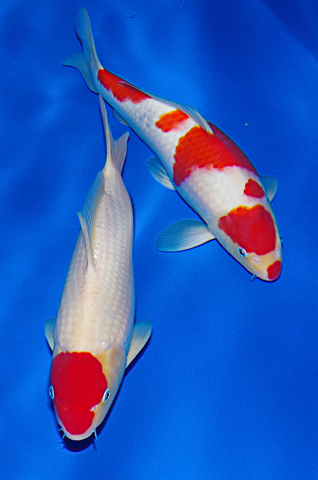 Here's a link to the show's web page with info about the location and so on, and I strongly suggest visiting this weekend if you like looking at amazing koi! I will be at the show ground on Sunday... and I'd love to get there today (Saturday) too but I have too much to do at home. We're going to harvest both outdoor ponds (Elle's fry, and also the shiros in the other pond), and I have to get on with the next selection on the May 15 spawning. Plus - I have some ebay work to do... as I have several more fish to move on. Those are some absolute crackers. Best of luck!